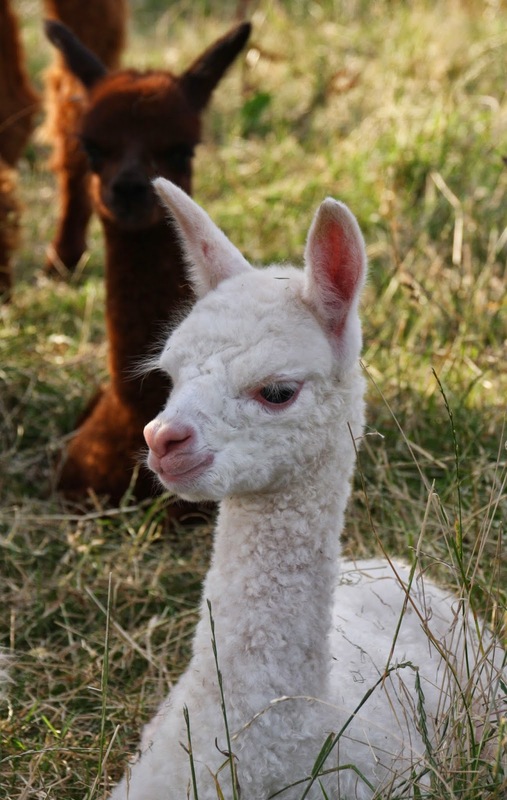 Tuesday saw the arrival of a male from 'Apples' (Helenia Diana) whose sire is Dovecote Jaquinto. 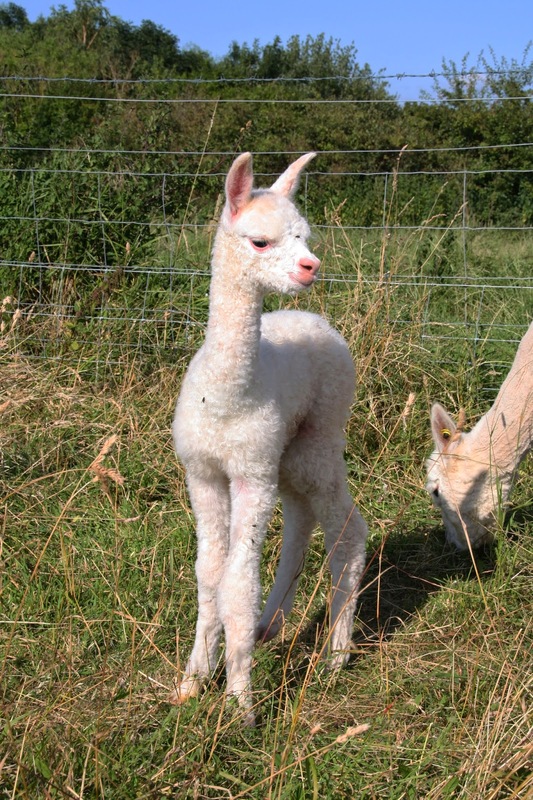 He was a whopping 9.5kg, bright crimpy solid white, and sired by CCNF Talon of Classical Milend. He and our other new arrival, Florina, have been gaining weight steadily, although 'Flo'' has not made the gains we would usually see - we think that is because her yearling sister Elstar has been getting in the way, and Flo' seems to stay closer to her than her dam, Bramley - as a result, we have seperated the new mums and their cria, as when we did some trial seperations, she gained more weight - we then brought the herd back together when the thunderstorms threatened, as we could provide better shelter. We've just had the hay cut today, so fingers crossed for the mid-week weather. We have cut our hay too...so fingers crossed all over the country!